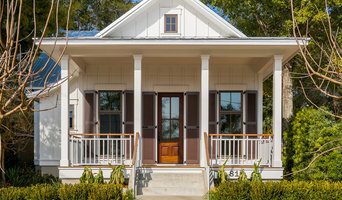 Specializing in waterfront, historical and southern cottage style homes, Bob Chatham is a second generation residential designer that has been designing custom homes for over 25 years. He has been a professional member of the American Institute of Building Design for over 20 years and is a member of the National Association of Home Builders. A nationally recognized,award winning and irreverent full-service interior design firm working across the country and we love every bit of travel! Offices on the Gulf Coast of Florida and soon to be in San Diego California. #realpeoplelivehere #wedodetails #callusforagoodtime In Detail specializes and excels when working on new construction jobs, remodels, renovations, kitchen and bath redesign and can help space plan and select full furnishings for any room in your home or condo. From review and design of the initial floor plans through to the space planning portion of the work we do, every detail is analyzed and discussed with our client to be sure we are capitalizing on space and function in every living area we touch. Then comes the pretty, funky, brilliant fabric and materials stage in our process where we invite you to our resource room to experience how all the recommendations and design decisions we'll make will come together to reinvent your home. We offer project management services to help you navigate the building process easily and on time while making decisions you will be happy with for years to come (that of course, will also fit the bill!) And come install day, you'll have our qualified staff on site helping to manage the layout, styling, art selections, etc. that make even a new space feel lived in, comfortable, and perfectly you! We do it all and our reviews and references speak to the dedication and passion Cheryl Kees Clendenon and her team instill in every job they approach - large or small - local or out of town. In Detail Interiors is dedicated to making the customer experience perfect! Want to learn more about us? Just Google our name! In Detail Interiors has been featured in over 60 consumer magazines including House Beautiful, Better Homes and Garden, Southern Living, Kitchen Trends, Bath Trends, Fine Homebuilding and many other trade publications. Originally from Southern California, Cheryl, In Detail's lead designer and owner now lives and works on the Gulf Coast of Florida and is mom to two girls. Cheryl writes a popular design blog, www.indetailinteriors.com, which focuses on design trends, the life of a small business owner and other irreverent thoughts. If you are looking for a seasoned designer to help with your next project, or just aren't sure where to start - call us! Dalrymple | Sallis Architecture is a full-service architectural firm specializing in custom residences and commercial buildings. Based out of Pensacola, Florida, principals Scott Sallis and Dean Dalrymple each have more than 25 years experience in architecture, interior design, and master planning. They apply their expertise in an open studio environment to provide a collaborative, hands-on approach to every project. Their ability to interpret the specific vision of each client has resulted in a positive word-of-mouth reputation and growing portfolio of repeat and referred customers. By focusing on elements that are beautiful, useful and necessary, Dalrymple | Sallis Architecture creates the right structure to fit your business or lifestyle. Omega's Success Doesn't Come from the Design or Construction.It’s Our Commitment to Uncompromising Standards & Our Unfailing Dedication to Our Clients. 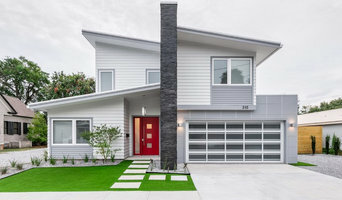 When choosing a custom home builder the important factors to consider are all related to quality, experience and reputation. Satisfaction is what drives the future success of a custom home builder. Check out not only the portfolio of custom homes on this site but also what satisfied customers are saying about the product we produce. Hempstead Custom Homes’ details are second to none with all the craftsmanship being provided by first class local craftsman who have been with us from generation to generation. Don’t take our word for it – ask those who are living out their dream in a Hempstead Custom Home. Coastal Stone can handle everything from layout and design advice to free estimates, from professional measurements to quality fabrication and timely installation. Our service does not stop there! We will be there for you for any maintenance or service issues that may arise in the future such as resealing or repairs. From beachfront to penthouse, rental companies all along the Gulf Coast know Coastal Stone is the best call for installation and service. We are the exclusive natural stone provider for over half a dozen major and some smaller builders throughout the region. We have had clients ask us to work with their contractor and we have had contractors ask us to work with their clients. No job is too small or complex. Whether it's building a new home, remodeling, or countertop replacement, we can help. The Wachter philosophy is simple: build the best quality home at the best possible price. With years of experience in real estate development and construction, Chason Wachter is one of the most respected home builders on the Gulf Coast. About Our Company Wachter & Company Inc brings years of experience in quality home-building to the table as you begin planning your new home. Making quality, attention to detail, and customer satisfaction top priorities, they create unique homes at an exceptional value. The Wachter philosophy is simple: build the best quality home at the best possible price. With years of experience in real estate development and construction, Chason Wachter is one of the most respected home builders on the Gulf Coast. Wachter & Company builds relationships as well as homes. As a local builder, they are available to answer any and all of your concerns - customer satisfaction is their highest priority, standing by everything they do, and the homeowner protection program that comes with your home ensures long-range satisfaction. All of our properties are backed by a special Homeowner Protection Program: During the first year you are covered by the Wachter & Company limited warranty and the appliance manufacturer's one-year limited warranty. In addition, your home is protected by the 2-10 Home Buyers Warranty. Major mechanical systems - plumbing, electrical, central air conditioning and heating systems - are covered for two years, while major structural defects are covered for 10 years. About Chason Wachter Chason is uniquely qualified to build and sell in the area, having spent his life here . He lives in Spanish Fort with his wife, Rachel, and their three children. “It all boils down to this: personal service with results,” he says. Chason is committed to customer service and maintaining the highest professional standards, from continuing education to technology and marketing. Awards and designations for Chason are numerous and include the following: 1. CRS (Certified Residential Specialist) 2. GRI (Graduate Realtor Institute) 3. Certified new home specialist 4. Lifetime member of “Best of Baldwin” (Ranked on sales production by the Baldwin County Board of Realtors) 5. Licensed home builder 6. 100% Club Remax National (National ranking of sales production) 7. Licensed Broker 8. BS degree, Auburn University. Combining years of construction with talented design to offer homeowners in Baldwin County (5A) a design build option on their next remodel. 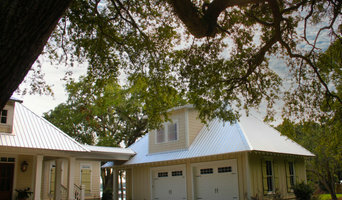 Our philosophy is “lover where you live, remodel, and we both love Baldwin County and especially Fairhope. Our business is driven directly by referral, but we hope this website is helpful to explain who we are and what we are good at providing. Michael graduated from Auburn University in Building Science and Michele studied at the New York School of Design, so we combine design and ideas, into a plan and budget for any size project. We both graduated from Fairhope High, so we have seen Fairhope grow over the years, and we are excited to help new residents as well as seasoned, to make the most of their home. Michael is a licensed home builder that chooses remodeling over new construction, because it is just more challenging trying to figure out what we can do to make the home more practical and enjoyable for every client." Tom Bierster Fine Home Building & Renovation, Inc.
Tom Bierster, the owner of Tom Bierster Fine Home Building & Renovation, Inc., has been building custom homes along the Eastern Shore and Gulf Coast for over 30 years. His overwhelming talent and experience, attention to detail, and personal attention to his clients' needs, has led him to become one of the most respected and desired builders in the area. His custom homes can be seen scattered along the bluffs of the Eastern Shore from Daphne to Point Clear, and his work has been featured in Southern Living, Cottage Journal, Coastal Living, Mobile Bay Monthly, American Home Style & Gardening, and Builder Architect Magazine. Besides his work on the Eastern shore, Tom has built homes throughout Mobile, and has even done historical renovations in Gautier, Mississippi. Tom also has experience in building on the Coast and is prepared to meet any challenge. Whether the project cost's $10,000 or $1,000,000, expect only the highest quality work and highest customer satisfaction. If you want to receive the focus and care of a true professional builder, from start to finish, don't hesitate to give Tom a call. He would love to take you on a tour of some of his homes, and talk to you about your home-building or remodeling needs. Browse through our gallery of images to get ideas. Design custom cabinets & remodel kitchens and baths. Cabinetry, wood counter tops, trim and millworks shop. 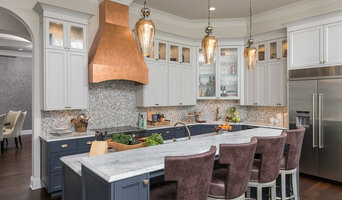 Aiken Design takes pride in designing custom kitchens, baths, and home projects in Fairhope and the Eastern Shore of Alabama. House plans, floor plans, elevations, cabinets, kitchen remodel and bath remodel with careful consideration of the surrounding environment. R. Clark Home Design creates engaging and realizable design solutions that mutually support each client’s ideals while contributing to their surroundings. With an emphasis on integrated design, Ray never draws a line between indoors and out. The work is always concerned with creating a cohesive whole, project that is fully realized. Whether small or large, the solutions are always unique yet timeless, resulting in an architecture that is rich in meaning, thoughtful in approach, and poetic in its final rendering. But before you start sending out dozens of emails and making phone calls, sit down and think about your project. What's your budget? What is the scope of your project? Will you need more than one type of professional to complete your home improvement project in Montrose, AL? Can you afford to complete the full project now, or should you tackle it bit by bit? Once you've settled on your project’s priorities, budget and scope, it's time to start researching Montrose, AL home design professionals. Don't sell yourself short and settle on the first professional you set your sights on. Make sure that you're working with someone local, who can get to the jobsite easily and efficiently. Look into the person’s reviews, ask to speak with former clients and to see previous jobs in person. Take a good look at their portfolio photos: How similar are these projects to your own? Be honest — that mansion might look beautiful, but it might not have a lot in common with your little bungalow. Reach out to multiple professionals — especially for larger projects — and don't settle for the first bid you hear. Comparing multiple Montrose, AL professionals' bids and experiences can help you find the one that’s best for you. Ask a lot of questions now, so you won't have unexpected answers later. Find a home design professional on Houzz. Narrow down your search by type of professional and location. 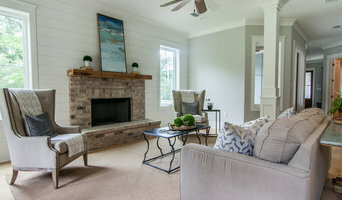 Browse Montrose, AL portfolio photos, read client reviews and contact each Montrose, AL professional for more information. Check out the information in the specialized professional sections too for tips on how to hire the right professional for your project.